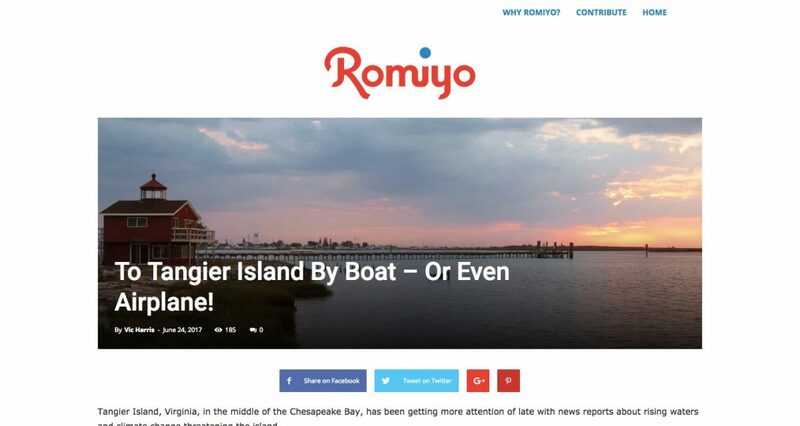 “Romiyo” is a startup with an idea to have everyday people contribute travel stories. The initial, “minimum viable product” version of Romiyo is a WordPress-based website with some customizations thrown in. For example, the Google Search-like homepage was built via a plugin customization. In addition, another plugin allows the site owner to create multiple users or authors using only one email address, something that a standard WordPress installation does not allow. The site was designed to encourage the presentation of beautiful travel photography. The responsive design allows for viewing of the photography via easy-to-use image sliders.